ABOUT US When you work with CARALEX, you work with principals with a proven track record in your category. No Trainees. No Prima Donnas. We're not here to test theories. We're here to make our partners money, as we've done many times before. 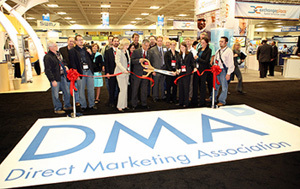 CARALEX San Diego team at the Direct Marketing Association Annual Conference ribbon cutting ceremony. Contact us today for a free consultation regarding your business development needs.